Two Vintage Color Palettes today because sometimes it's too hard to chose just one. I went through some postcards I hadn't been through in a long time yesterday and found these beauties. This one above is a gorgeous "Phostint" postcard from the early 1900's. It is of the Witch Tree in Monterey. A lone cypress that was full of history and mystery. From what I can tell it was destroyed in a storm in 1964. At one time it was considered the most photographed tree in the U.S. I love the unique colors of the palette for this postcard. Rich antique versions of modern colors. I especially love that dark cypress gray/green that is almost black. That's a color you don't see much these days. The hex color codes are from top to bottom: 7e5154, fcbbbb, 6eadb5, 595f5e. 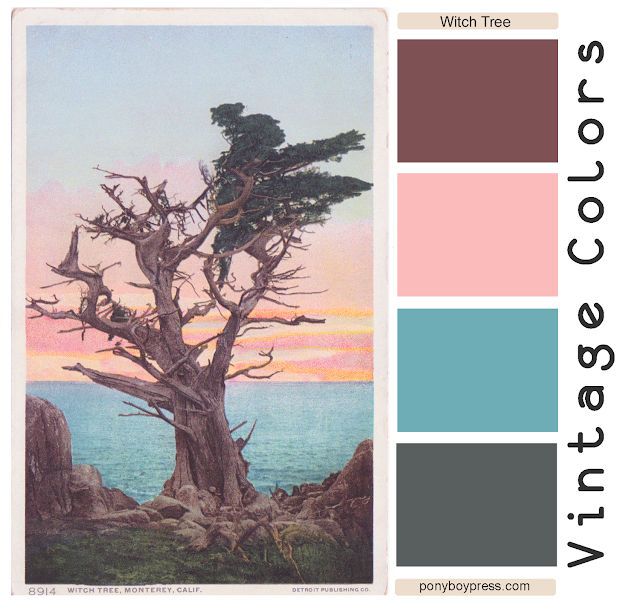 The next color palette is from a linen postcard from around 1940. The postcard is of Ramona's Marriage Place in San Diego. It's one of the oldest surviving examples of Spanish architecture and still stands. The color palette of this postcard is filled with sunlight and summer shadows - a pretty vintage southwest color combo. 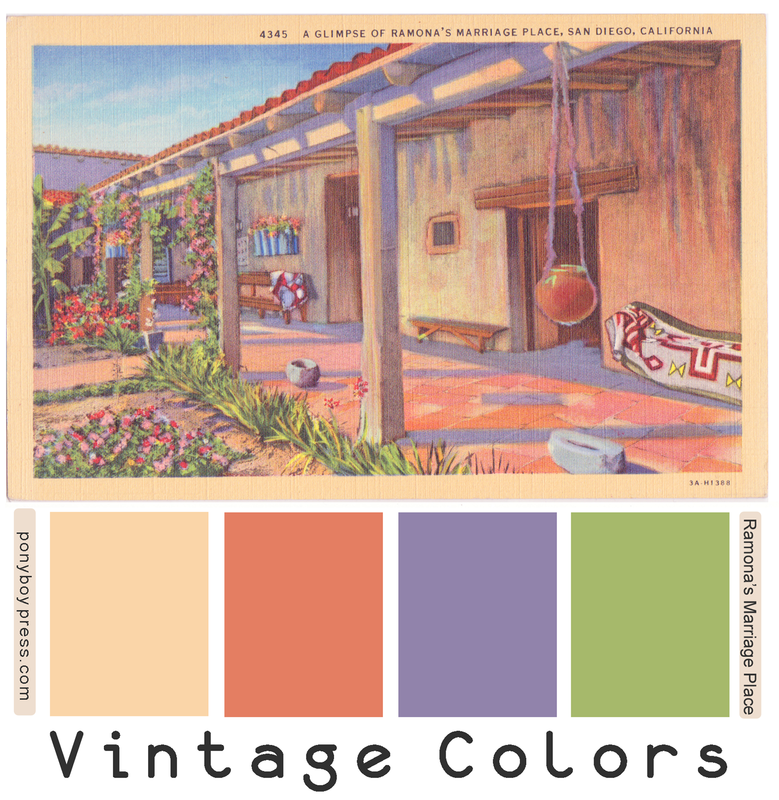 See all Vintage Color Palettes on Pinterest.